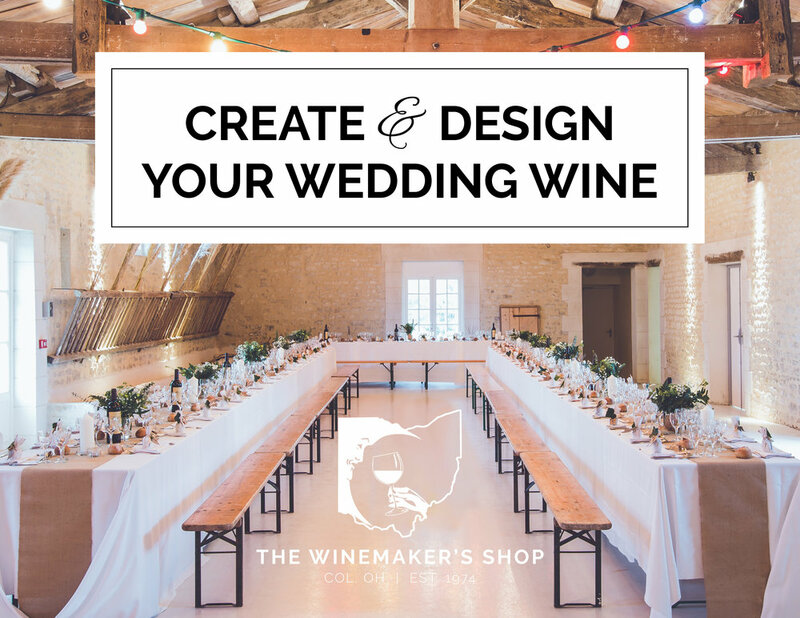 Wouldn't it be great if your guests could enjoy wine made by the couple they came to celebrate!? Let us help you celebrate your big day by giving you an experience that will make your wedding that much more special. Just come in and make your wine and then come back in 6-8 weeks to bottle! We know your schedule will be hectic, so let us take care of all the boring stuff in between. On Day One, you will choose* the varietal of wine you would like to make. You will get 2 flights of 3 wines to help you decide which wine(s) you would like to make. Included in the Deluxe Package is a cheese plate to nibble on for Day One. When paying for your kit, we'll have you sign a little paperwork* and discuss what you want to have on your personalized labels and schedule a photo shoot date. What is better than presenting the wine you made to your guests with a stunning picture of you right on the front? On Day One, we will get you in contact to book a 15 minute mini photo shoot within the next couple weeks. You will get to choose the location (within greater Columbus) where you will meet up and be photographed. Abbi will edit your pictures and return to you 10 pictures that you will then choose one of to put on your label. Hello there! I am Abbi, a photographer, a local and in love with Columbus, Ohio. My love of details and photography comes from growing up in SE Asia. This given me a profound love and admiration for all cultures and people. Photography is how I document that. I began my wedding photography business 2 years ago and have photographed 70 and counting weddings since then. I would love to meet up with you for a coffee, a chai, a tea and hear about your special day and the beautiful little details that make it specific to you. We absolutely recommend viewing some of her work in her portfolio! She has also done some wonderful work for us which you can see here. Included in the #.2 package is 2 glasses of wine on bottling day! For legal reasons, not "everything" can be put on the personalized label. Typically a salutation like, "Happy Anniversary," "Happy 50th Birthday," or "John and Sarah's Wedding" would be recommended for the front. We can also have a picture as the background. We will send you a proof before we send for prints.